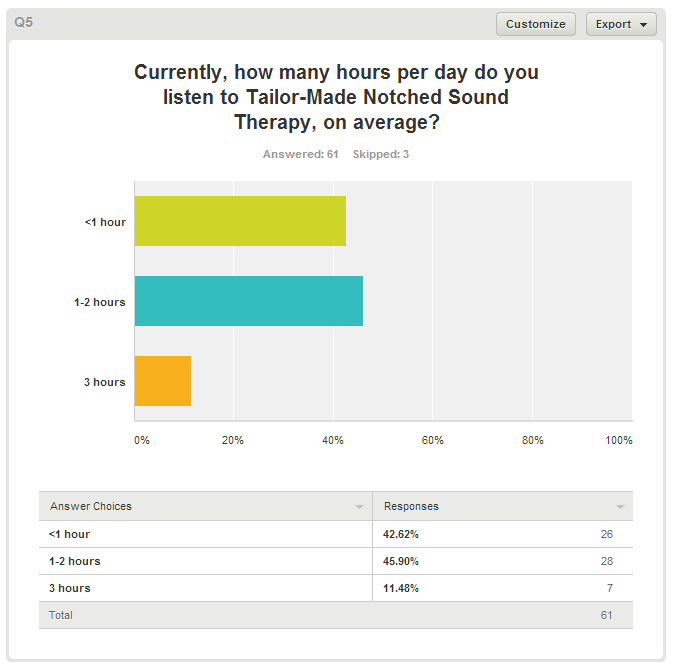 For a long time, our users have asked us about the success rate of AudioNotch. And for a long time, we’d told them the truth: we don’t actually have this data, because not enough people respond to our internal surveys about the efficacy of our tinnitus treatment. 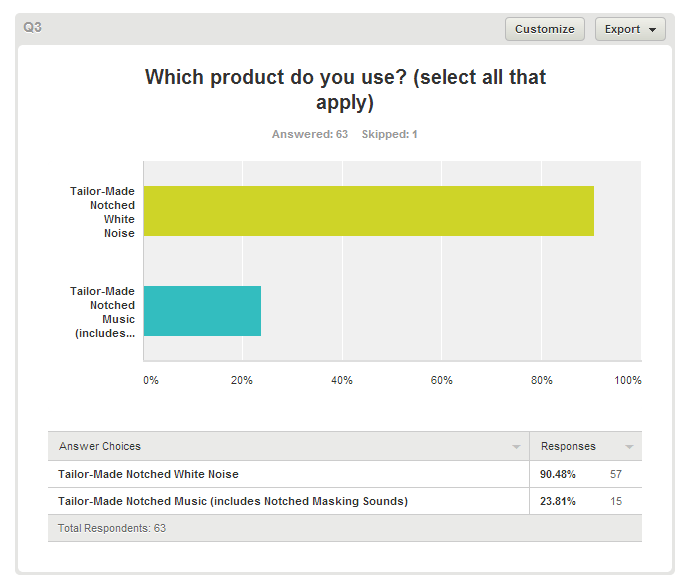 Basically, a small percentage of our users respond to our automated feedback surveys, which are sent at one and two month intervals after purchase. So really, we only have a partial understanding of the data on our actual success rate. 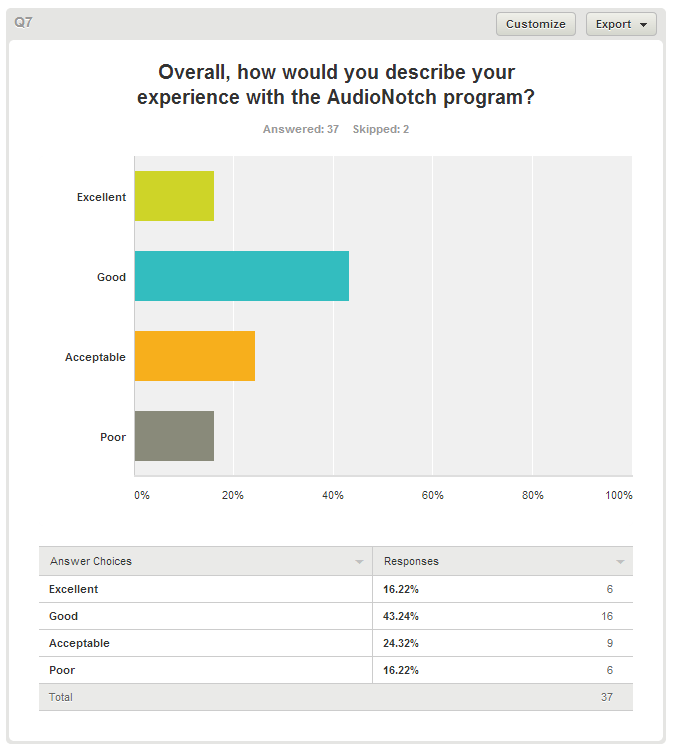 However, we believe in allowing users to make an informed decision about whether to purchase a subscription to AudioNotch, and poor quality data is still better than no data at all. 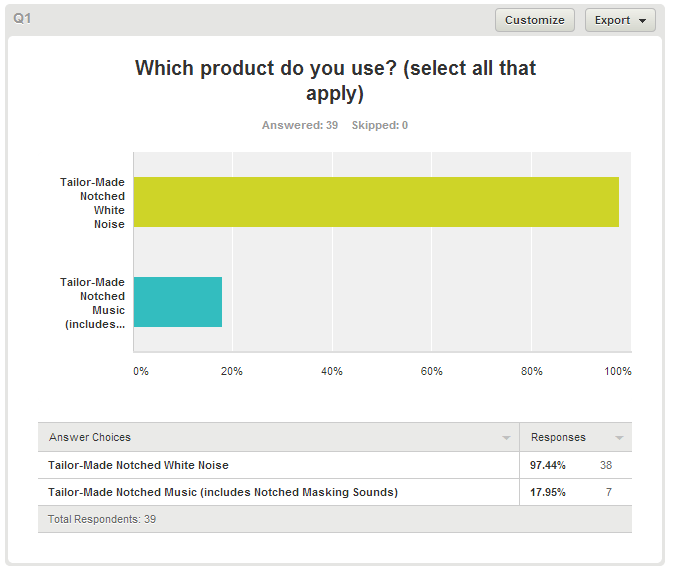 The percentages are not statistically representative of the actual results that exist – this sample is probably only about 10% of our user base. Extreme outliers are probably over-represented. 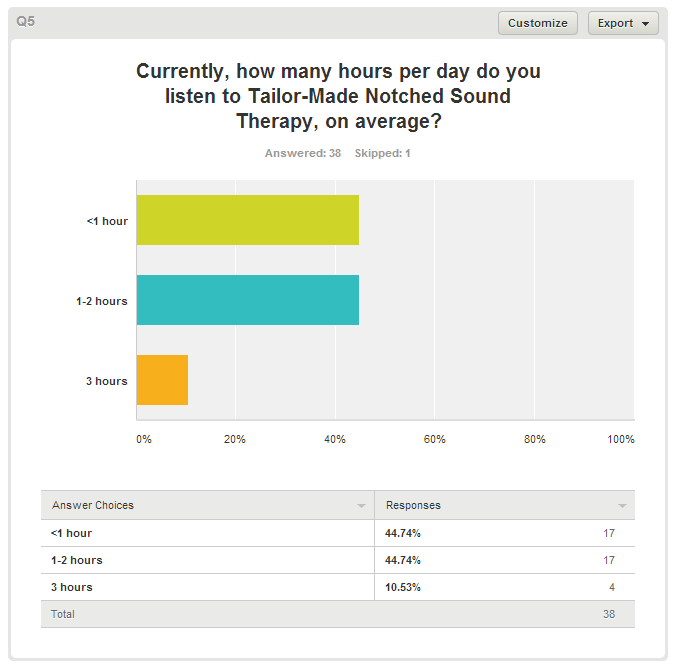 We have about a 3% refund rate right now, and if 20% of our customers were actually having a worsened tinnitus in response to AudioNotch, then our actual refund rate should probably be much higher than 3%. Again, we believe that figure to be significantly inflated. If you do experience a temporary elevation in tinnitus volume in response to AudioNotch, read about how to deal with it here. We have about a 3% refund rate right now, and if 20% of our customers were actually having a worsened tinnitus in response to AudioNotch, then our actual refund rate should probably be much higher than 3%. Again, we believe that figure to be significantly inflated. If you do experience a temporary elevation in tinnitus volume in response to AudioNotch, read about how to deal with it here. 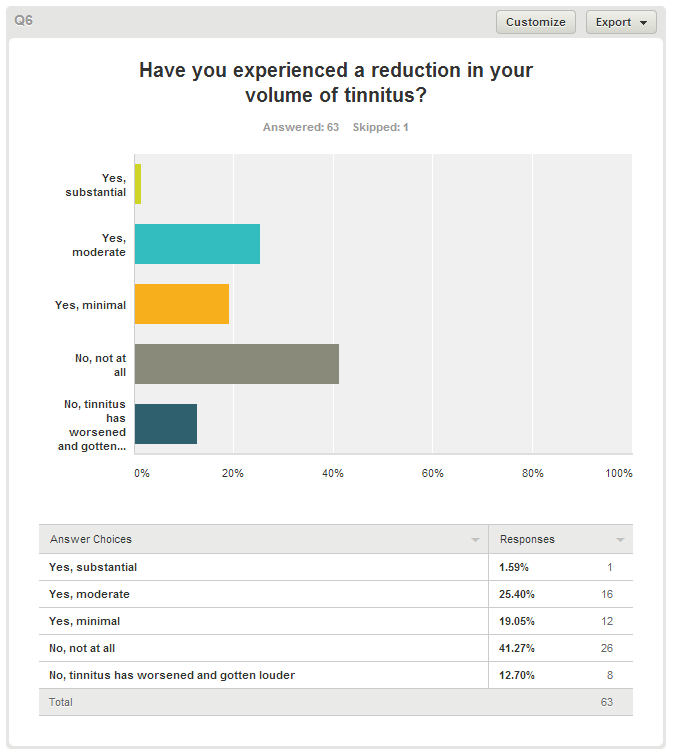 Furthermore, for the volume reduction data below, keep in mind that many people have difficult determining their tinnitus frequency, and if the matching process goes awry, the therapy won’t work. Divergent responses to treatment can probably be accounted for in large part by people having difficulty detecting their tinnitus tone. If you are having problems, then please click here for tips on how to better tune your tinnitus. Hopefully, this data – as limited as it may be – can help you to make a more informed decision. In order to sign up for AudioNotch, click here.